In September 2018, PlaceSpeak participated in the International Identity Summit in Seattle, WA. The summit connected Identity and Access Management leaders and innovators from around the world to share perspectives and identify strategic opportunities, with the potential to accelerate development and adoption of solutions. Communications Manager, Mary Leong, spoke on how digital proof of residency is crucial to authentic and legitimate online citizen engagement. PlaceSpeak’s citizen-centric model places the individual at the heart of the process by authenticating their digital ID (e.g. user account) to their physical location (e.g. residential address). 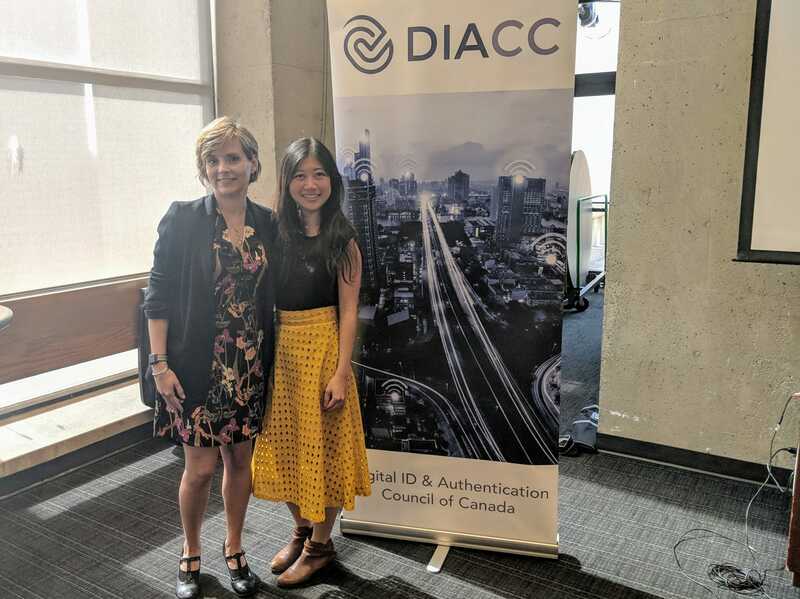 Mary Leong with Joni Brennan, President of the Digital ID and Authentication Council of Canada. Once a user has been connected to their location, they can engage at progressively more involved levels with different organizations, from a single hub – governments at all levels, utilities, school districts, transportation authorities, neighbourhood associations, and more. They can be kept informed or notified of potential changes in their communities, provide feedback on new initiatives, and/or collaborate with decision-makers and other community members – on an ongoing basis. Read the full recap on the DIACC blog here.